I don't know about you, but we always seem to have a shortage of washcloths in our house. We use them for everything from wiping counters to washing faces. This tutorial is more about inspiration and a little tip since sewing a washcloth is about as easy as it gets. I used a 100% cotton chenille that I picked up on vacation and cotton flannel. I made a template from my stash of file folders, 6 inches by 6 inches square. Lay your fabric right side together and trace the pattern. Here's the trick. See those 2 blue lines perpendicular to the pattern? That's the opening and you want to actually sew on those lines. What this does is pull that seam allowance down and make it easier to sew that opening closed when turned right side out. 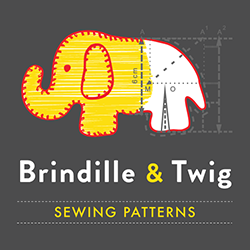 Sew just inside your traced lines and trim. Turn right side out and press. See how you can't tell where the opening was? Top-stitch around the perimeter. I also folded the washcloth in thirds and sewed 2 parallel lines to keep the layers together better. How cute would these be wrapped up for a new baby? I love this idea! I have a bunch of terry cloth I got through freecycle, and hadn't figured out what to do with it, but maybe using some of my scraps to make these cloths. These are awesome. I really like the idea of sewing on the lines where cutting, very smart. New follower! those are cute. and great tip, too. thanks! GREAT idea. Sewing the edges of the opening is the best thing I've read in a long time. I'm going to be using that tip A LOT! Thank you! 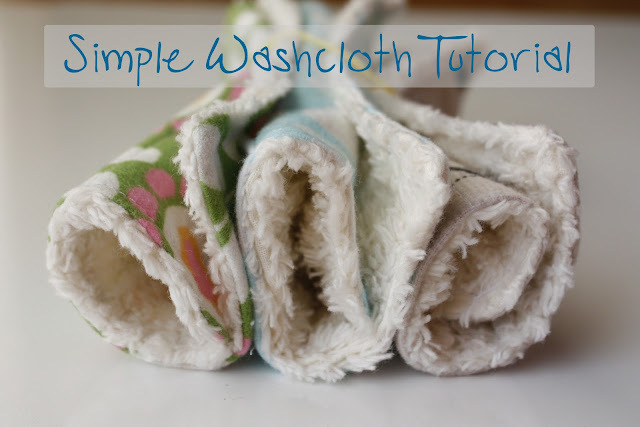 Great washcloth and a great way to use up scraps of my favorite fabrics! May the little ones will like to take time to wash up without with this soft fabric ! I'd never thought of sewing along the opening - brilliant tip! Add me to those appreciate of the tip! Brilliant!